Dirk Nowitzki joined an elite group of NBA legends last week, as he drained a signature jump shot which saw him reach the 30,000 points plateau. Nowitzki dropped 25 points in 24 minutes against the Lakers to go along with 11 rebounds on the historic night, and received a standing ovation by the Mavs faithful as the German international made NBA history. Despite other NBA personalities singing his praises for his achievement, Nowitzki is still somehow underrated by NBA fans and many individuals involved with the game which is downright blasphemy. As he joined the NBA, numerous players and coaches alike didn’t believe Nowitzki would even last in the league, let alone break all kinds of records for a big man. But he has done that, and continued to prove the doubters wrong throughout his glamorous career. Nowitzki not only changed the game for international players, but changed the game forever overall. Unfortunately, his impact and influence throughout the NBA is still now quite comprehended by the casual fan after all these years. You see, young NBA fans growing up now will see the likes of Karl Anthony Town, Kristaps Porzingis and Joel Embiid knocking down threes form the outside, but what they don’t realize is Nowitzki paved the way for every shot making big man that can step away from the basket and be a deadly weapon. Nowitzki didn’t just create the true definition of a “stretch 4 and stretch 5” he revolutionized those positions forever. Previously, players were drafted out of college into the NBA purely on their size and ability to rebound the ball and possibly block shots. Now, NBA scouts are asking “Can he step away from the basket? Can he pick-and-pop? Can he handle the ball? Can he score? What’s his range?” All these questions are now relevant, because Nowitzki has dominated and scored the basketball in ways in which we’ve never seen big men put the ball in the basket for such a long period of time. If that wasn’t enough, Nowitzki also invented his signature shot which is now an NBA norm – the one legged fade away jumper. The likes of Kevin Durant, LeBron James, Kobe Bryant and Dwyane Wade have all added his shot to their arsenal, as Nowitzki made a living of torching opponents with it. 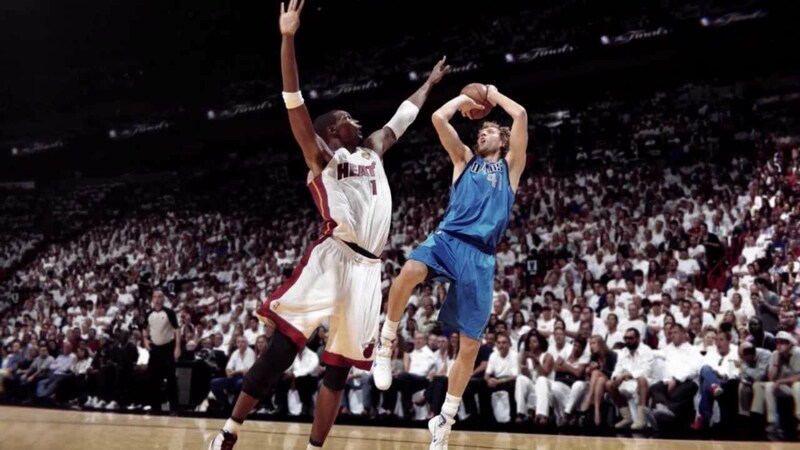 What was once thought of as a bad and unbalanced shot, Nowitzki perfected and made it his go to move, which has still proven to be unstoppable even to this day. Despite all his success and continued production and loyalty each passing season, Nowitzki still hasn’t received the credit he has deserved. Maybe it’s because he’s not American, or didn’t have a colorful personality, or didn’t have a flashy game, but it’s baffling how he hasn’t received the recognition his accolades demand. For NBA purists, Nowitzki’s impact, excellence and greatness will never be forgotten. He is an NBA MVP, finals MVP, a part of the 30,000-point club, a part of the 50-40-90 club, the most decorated and successful international player ever and an NBA champion in one of the very best individual playoff and finals runs you are likely to ever see as the Dallas Mavericks were crowned champions in 2011. Nowitzki has recently stated he will play one more year, but his legacy will be here long after he has left the game. His name will forever be connected to talented European players that grace the shores of the States in hopes of becoming a star in the NBA, and his name will live on forever in the memory of all true NBA fans. 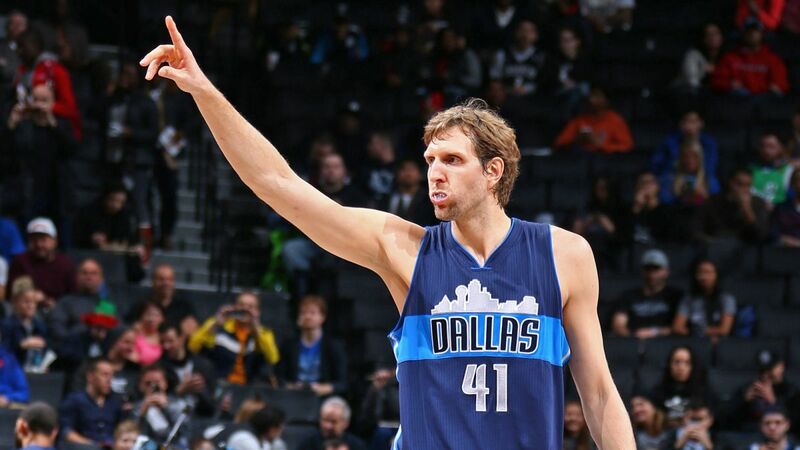 Perhaps the most underrated superstar of all-time, we salute you, Dirk.